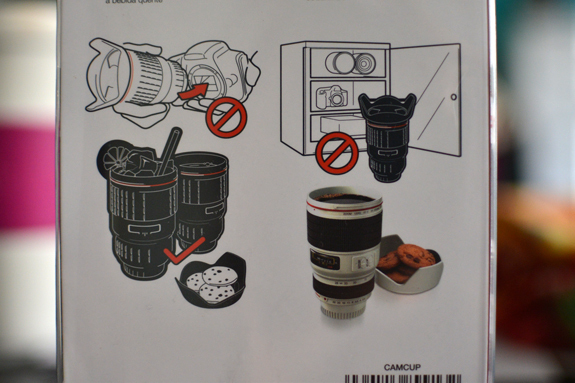 Helpful warnings on the back of my lens mug packaging. A construction crew is currently destroying the entire area surrounding our pool (don't ask me why...) and the ground is an uneven, cement-y mess. Walking back to our apartment after checking the mailbox yesterday, I tripped and wiped out - hard. Thankfully, I didn't fall into the pool and drown. And also...OW. Remember how the laundry room at our complex has one extra special dryer that works when you just put one quarter in? Well, it's an unspoken rule (or perhaps it's only a rule in my mind) that if you use that dryer, you make sure you come get your clothes out the SECOND they're finished. No hogging the cheap dryer. I did laundry last Tuesday and I made it through three loads while someone's single load sat waiting to be picked up in the cheap dryer. I came so ridiculously close to taking their stuff out or writing them an unpleasant note, but I always chicken out. Pala's going for the world record in number of warnings that flash through the message center when you turn the car on. Currently, we're at three: change oil (lies), low oil (more lies) and low fuel (oops). We ran out of q-tips. My ears feel so...dirty. 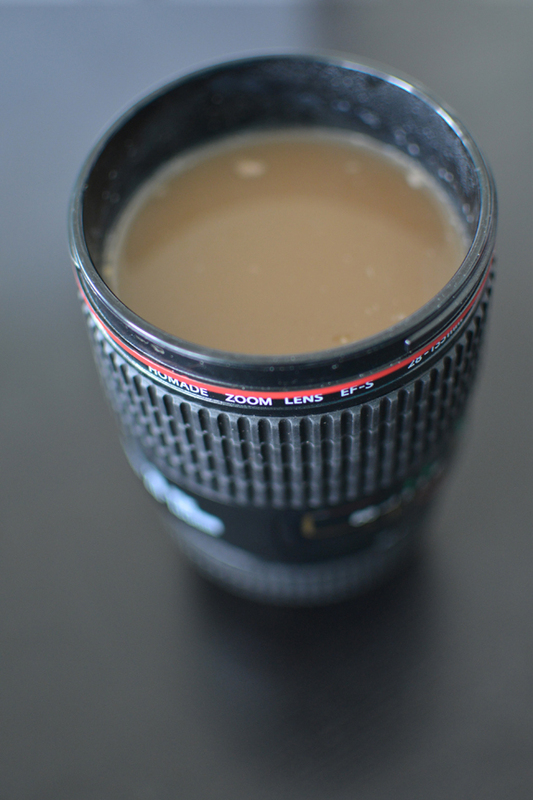 This week I tried out my new lens...mug. Super sweet, right? I keep having mini heart attacks when I see it in the kitchen cabinets or, even worse, in the kitchen sink, and I freak out wondering why my lens is floating in water. The website's back in service, so take a gander if you'd like! http://www.sincerelyaphotography.com/ Now that I have my free time back, I pretty much have no idea what to do with myself. All I know is that I definitely won't spend that extra time cleaning, ha. We have a busy weekend of awesome in store for us. 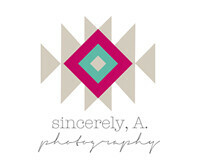 Dinner with friends, a baby bump session at the beach (cross your fingers it won't be TOO freezing) and a coffee date with a new photographer friend in North Hollywood. It should be pretty exciting! I didn't spell check this post. I didn't even read through it when I finished writing it, because it's after midnight and the words are just making blurry nonsense in my brain. My apologies if the above is just jibberish. oh, that coffee mug is super cool. and agreed--i might have a mini heart attack seeing that in the sink too...! I had a mini heart attack seeing that mug in the picture, like holy hell who put coffee in her lens?! Love the mug... especially the cookie attachment! That is the most darling mug ever, so in love with it! bahahaha love that lens cup! And yes, I always have back up Q-tips on hand!